Checkers, who does not know it? 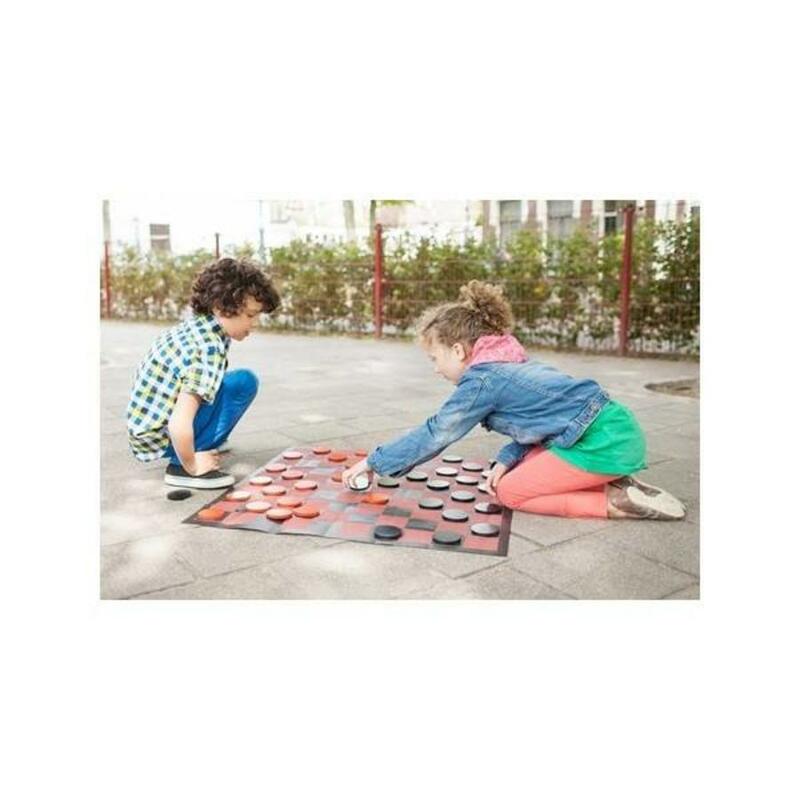 This mega checkers game can be used indoors or outdoors. By sliding sliding and jumping with your stones you can beat your opponent. The game has wooden dice in black and red, which can be pushed onto a 85 cm x 85 cm game rug. You play checkers with 2 players. Place the black stones on one side of the field and the red stones opposite. (in the dark color). You can move your own stones by sliding or by jumping (only in the dark fields). By jumping over the stones of the other, you can make sure that these stones are turned off. They are then removed from the board. If the other has no more stones or can not move, you have won! This game is easy to take along and can be played indoors and outdoors . Strategic game for 2 players. Suitable for children from 7 years old.